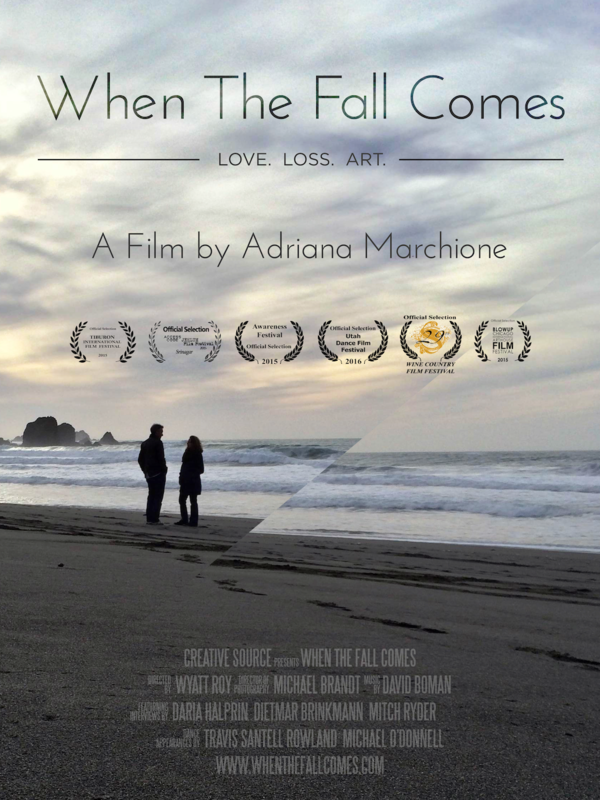 “When the Fall Comes,” a film about love, loss and art, chronicles how one woman moves through grief by using dance, poetry and a performance piece to illustrate her healing process. “When the Fall Comes” weaves through vivid landscapes of the San Francisco Bay Area, Argentine tango dancing, performance moments and poignant interviews focused on grief and the arts. First time producer Adriana Marchione brings a stunning portrait of her personal story and helps us venture into melancholy as well as the joy and reverence that accompanies loss.